‘Learning’ Artificial Intelligence – How can India deal with this? A couple of days ago, I came across a newspaper article that cites the Prime Minister of India instructing Ministries in India to ‘learn’ Artificial Intelligence (AI) for socio-economic development. With this, now everyone would run around on how and where to learn AI. The focus on AI and making India a leader in technological issues is welcome but it has to be guided by appropriate foresight, strategy and action plans that are owned by the people. In India, the national program on Digital India, including the AI, seems to be guided by what China is doing. This is a gross mistake. For those of us who work with China, we know the kind of focus, investments, foresight and push the country has for some of these areas of work. What works for China may not necessarily work for India. Consider how countries like the United Arab Emirates is handling this. This is perhaps one country that has a separate Ministry of State for AI, who is just 27-year-old Omar Bin Sultan Al Olama. Canada, that laid some foundations for the recent revolution on AI has a national strategy on AI. The White Paper launched on 10th April 2018 mentions two key principles that will guide the country’s AI journey- People should always be governed – and perceive to be governed – by people and AI systems deployed on behalf of government should be trained to reflect the values and ethics of the public sector as well as Canadian and international human rights obligations. 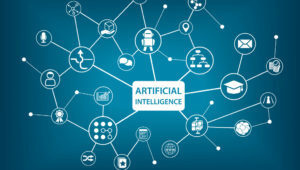 The United States strategic plan on AI focuses on seven priorities ranging from sustained investments to emerging needs of the people to use AI. Unlike Canada, UAE, China and other countries where the investments and innovations are coming from both public and private sectors, in India, the technology is being pursued by a handful of private sector entities. Between 2014 and 2017, AI start-ups in India seem to have raised less than USD 100 million from venture capitalists. Majority of Indian tech companies are not research oriented. China, in the meantime has established a USD 2 billion dollars research park on AI in western Beijing. Coupled with severe dearth of data and expertise, India need to cover the first-mile of its AI journey before aspiring to catch up with China. Consider the current scenario in the country. We are still struggling to define the indicators for the globally agreed Sustainable Development Goals (SDGs) with the NITI Aayog having problems to fill several gaps regarding national indicators. Ask any Ministry in India, you will face data gaps and information lacunae on key issues. Then, how can each Ministry ‘learn’ AI? It is not like the times when word processors and computers were introduced staff were asked to undergo training on how to use computers. Learning AI needs more skill and relevant data. Otherwise, the AI based solutions one creates will completely mislead actions. Of these, key is step 4. For step 4 one needs authentic and credible data so that both machine learning and using the same for creating AI based solutions would be possible. While Artificial Intelligence is undoubtedly one of the most promising careers of the future, it also has a lot of hard work and skills required to excel in the domain. According to Carnegie India, fostering a culture of innovation and a commitment to research and nurturing an ecosystem beyond the four walls of the organization are all common to Google’s DeepMind, IBM’s Watson, and Baidu’s Institute of Deep Learning, the most successful AI projects of the past half a decade. Much of the early successes in AI came from government investments. The budget allocation in India, during 2018-2019, for ‘Digital India’ that includes a bundle of actions, including AI is a mere USD 480 million. India needs to increase its budget allocation considerably if we want to catch up with other countries and ‘learn’ AI. Not only the investments, the Report of National AI Task Force lacks the needed vision and strategy to catch up with rest of the world. This is quite worrisome. The current report makes no significant forward-looking recommendation except to suggest establishing institutions and performing ‘AI Yatras’ in the country. The Report suggests investment of Rs. 240 crores per year for AI related actions for the next five years. This is abysmally low. One cannot acquire and become leaders in such technologies with such low investments, unless we would like to do the usual things – establish centres and have inter-ministerial meetings to think what we need to do. It is interesting to see a recommendation of the Task Force to have AI-Yatras to increase awareness. The BRAIN Initiative, created in 2013, is a ten-year, multi billion-dollar fund for AI research in the United States, while the EU’s Human Brain Project envisages spending 1 billion euros on AI over the next decade. Our ‘Digital India’ mission need to have more effective communication with public and allay the fears of data breach, data theft, data compromise and data deficiency – all combined into one at this time. Saying the servers are housed in multi-foot thick walls shows our lack of seriousness to security. We have to appreciate the fact that for promoting AI, we need thinkers, not just programmers. If we lack strategy, imagination and investment, the call for all Ministries to ‘learn’ AI will be a mere sound-bite. ← Why Voluntary National Reviews (VNR) need a critical re-look?